I'm probably due to post some kind of a life-update as well. Fall is in full swing, as evidenced by the amazingly gray, rainy day outside and the torrents of leaves in my yard. This time of year is always a delicious introspective creep around in the wet woods kind of season that makes me think about life, the universe, and everything. I had a large hawk in my back yard yesterday, pecking around in the leaves and looking for all the world like a chicken. I experienced a fanciful moment of vertigo wondering, if I could keep this going, what it would be like to keep laying hawks and sell their eggs. In possibly related news, I got a front row seat a couple days ago watching a beautiful red fox hunting mice just below my place. I caught the largest largemouth bass of my life a few days ago, on a random jaunt in my canoe. Took a poor quality picture and let him go. I'm not huge on eating bass, and catching him came as a bit of a surprise, and I'm tending more toward catch-and-release (especially with bass) lately anyway. Loved the experience, though. The whitetails are starting to transition toward the rut, which won't be in full swing for a couple weeks yet. But their patterns are changing, and I'm trying to read those patterns carefully. There have been no large bucks living on my 70 acres, but I'm hoping they'll be cruising through over these next couple weeks looking for receptive does. It gets to be an exciting time in the woods. I'm bringing out the arsenal of scents and grunt calls and fake-antler-rattling-noisemakers and having a ball. I went to the dentist the other day for the first time in five years. I was deeply curious to see what my extended experiment of owning my own dental hygiene produced. They fixed a little chip in one of my incisors and said my teeth looked great except for a tiny bit of tartar on the inside of my bottom teeth, and that I should schedule all kinds of professional cleanings at great expense. I declined. This weekend is the Holy Spirit Retreat for the Alpha course I've been leading. I'm excited. I have a great leadership team and it's going very, very well. It's fun to be leading Alpha again. I've been having more and more conversations about mid-sized home-based groups. A large part of my ministry-oriented work here is building those, and that relates closely to said Alpha course. We'll likely be launching two of these mid-sized groups in January. Can't wait. I'm more convinced than ever that this model (which is really just the book of Acts translated for our time) is one place where God is moving in powerful ways throughout the world. I've been struck lately by the fact that I haven't been to the Boundary Waters this summer. Not sure if I'll get there next summer either. I'm pinning high hopes on the summer of 2020. Living on a lake is good, but I miss that wilderness and all that goes with it. Writing continues to be a passion, though I have less to show for my efforts than I would like. I continue to play with short stories, and the one novel I'm currently working on is somewhere around 40,000 words. Not surprisingly it involves the Boundary Waters. I have great anticipation for the nearly three gallons of wild grape wine fermenting on my kitchen counter. It's mostly a grown-up science experiment, I suppose, not unlike the ten gallons of chokecherry wine a couple friends and I have produced, fermented, and now bottled. That's probably enough for now. Today promises to be a mix of mechanical projects (need to replace a squirrel-cage fan in one of the furnaces in our Youth Building), computer work (prepping projection and talks and preparing documents for the Holy Spirit Retreat) and a little bit of walking in the rainy woods (to check my fake scrapes designed to lure in big whitetail bucks). Hope you are having an equally delightful day! I've had this article up on my browser for about a week now. I've read through it a few times and find new things in it each time. Today I realized I had WAY too many windows open and decided to close it down. Then I read it again and decided to keep it up there a while longer. I'll close other stuff. Hope you enjoy it as much as I have. And that it makes you as uncomfortable as it has made me. And that it provokes as much restlessness and eagerness in you as it has me. Luke tells us here how the Pharisees reacted to Jesus' teaching. He describes them as "lovers of money" which, especially if we're right about all of chapters 15 and 16 being about stewardship -- how we manage what God has entrusted to us -- means they're going to react negatively to Jesus' specific teachings here. In point of fact, how we see the heart of God (that is Jesus' main point in chapter 15, after all) matters. If we see God as a distant sovereign with high expectations, we will react accordingly. If we see God as an indulgent guy who winks at sin, we'll live like that. What the Pharisees apparently missed -- for all that they had right, and they had a lot of things right -- was the joyful heart of God that passionately loves sinners. If that passion for broken, hurting people is at the core of who God is (and the Bible is so clear about this) then our stewardship -- our management of our wealth and resources -- has to reflect that passion. I'm seeing in a new way these days how these verses are connected to all that has gone before. I believe Jesus is so stern with the Pharisees because by focusing on the law, by managing their own morality and the morality of others, they have missed the heart of God. Jesus says that he himself, along with his proclaiming the kingdom, supersedes the Law and the Prophets, and so it transforms how we read them. Instead of doing what the Pharisees did and reading the Law and the Prophets as a rule book, we now read them as setting the foundation for Jesus' own appearance and the proclamation of his kingdom. The Law does not go away, Jesus is very clear. There are Christians who claim that Jesus' followers should not read the Old Testament -- but they have no biblical leg to stand on. But the reading of those books is transformed, and we rightly see them now through the lens of Jesus himself. Everything in the Old Covenant is preparing the way, laying the foundation, and pointing toward Jesus and his kingdom. That's Jesus' point as he lays the hearts of the Pharisees bare. So what to do with these few words about divorce in verse 18? This seems like such a non sequitur to us. The New Testament's teachings on divorce are nearly always taken out of context, and this verse is no exception. Why would this verse be sandwiched in between four parables about stewardship and the heart of God (15:1-16:13) and the story of the rich man and Lazarus that follows? Is this simply a pebble of Jesus' teaching that didn't fit elsewhere so Luke throws it in here? No. We tend to import Jesus' words about divorce -- and the Bible's words about divorce in general -- into our own context with very little understanding of what they meant in biblical times and cultures. In the context to which Jesus was speaking, women had absolutely no rights. They couldn't own property, they couldn't inherit, they couldn't serve as witnesses in court. A woman whose husband divorced her had absolutely no recourse. There was, in fact, a lively debate among the Jewish teachers of Jesus' own day as to exactly how formal a divorce had to be. The school that said a man could divorce his wife "for any reason" claimed that if he was upset with her, or tired of her, or if she burned dinner some evening, all he had to do was say "I divorce you" three times, and she was out on the street. The more formal school that had a tiny little bit of sympathy for the plight of women stipulated that the man should give her a written certificate of divorce to prove that she had once been legitimately married and that there was some legitimate reason to dissolve the marriage before getting rid of her. Neither option gave the woman anything in the way of help or rights. Women were literally considered property, like cattle or land. A man could dispose of his property as he wished, as long as he observed the proprieties. Jesus is, in fact, continuing his teaching about stewardship -- about property management. He is saying in effect that marriage (as the Bible clearly teaches) is a covenant relationship that is designed by God to reflect God's relationship with us (see for example Genesis 1:26-27 and Ephesians 5:21-33). And if that is true, the Pharisees' own attitudes about what was acceptable in the arena of divorce needed to be reexamined. "I divorce you, I divorce you, I divorce you" was a disgraceful way to treat a relationship designed to mirror God's love for his creation. The "letter of the law" interpretation of both schools of Jewish teachers, Jesus says, is not a legitimate way to end a marriage. Instead, it actively puts people in the position of breaking God's law. What do we do with this? We no longer understand women as property. As the father of two brilliant, beautiful daughters, I'm extremely thankful for this! It is important for us to understand marriage as a covenant, as a relationship designed by God to reflect his passionate love for creation. Nowhere is the brokenness of creation in light of sin more apparent than in the painful throes of a marriage relationship headed for divorce. Divorce is a painful reality, because sin is a painful reality. We should do all we can to create strong marriages and to strengthen those who are hurting without seeing divorce as an easy out. Absolutely. At times, hopefully rarely, a marriage relationship is so broken that it needs to come to an end. It has strayed so far from mirroring God's heart that continuing the broken relationship does more harm to the image of God than good, and efforts to get it back on track are unable to fix things. And even in our day, we understand that property management is a huge issue in these situations. I've known too many couples who've moved in, bought a house together, etc. -- because they were "in love" -- without bothering to get married because it seems old fashioned or legalistic. But if that relationship goes bad, they start to see the legal issues involved in dissolving home ownership, etc., and how that painful process of dissolving a marriage is about so much more than just moving out. Breaking a marriage -- or any kind of covenant -- should be hard, and heartbreaking. The legal structure of divorce, as rough as it is, provides (or should) some measure of protection for each party. Some of you who read this blog know that I'm a little over a year past my own separation and divorce. These issues hit close to home. I've spent a LOT of time in the past year prayerfully reading texts like this, pondering what the Bible says and why, on these issues -- not looking for loopholes, but because in all of this I want to know the heart of God, and experience both his grace and his conviction in their depth. I've also spent a ton of time looking at my own sins, and the patterns that should have been different in that marriage from the start a quarter century ago, and what I wish I'd done different over the years. It's been an uncomfortable time, especially as a Jesus-follower and as a public Christian leader. It's been devastating and humbling and eye-opening. It has also been hugely important. And I continue to process these difficult thoughts in prayer, in counseling, in conversations. Marriage and divorce are enormous issues for today's church, as they have been throughout the centuries. I've had so many conversations with people in the past year who struggle with their own broken relationships. Some of those struggles (and I've experienced this as well) include ways the church shames people for their brokenness, wagging a moralistic finger at those who are in the middle of devastation and hurt. But let's bring the conversation back to scripture here and see this particular verse in its context, where Jesus speaks it. Here, it's a stewardship issue. And stewardship is also a huge, huge issue for the church today. In his own context, Jesus is confronting a culture in which men experienced divorce as easy and painless, and women had no rights and lived at risk of offending their husbands. It was unjust, wrong on so many levels. Jesus rightly confronts it as part of his teaching on stewardship, of how we manage our lives and all the good gifts God has given us. He doesn't give us easy answers, but (again) he points us back to the heart of God and what it means to live in covenant with him. That's the center of the next story he tells as well. We go immediately from what is perhaps Jesus' most well known, most loved parable -- the parable of the Prodigal Son, as it's most often called -- to one of the least known, least understood, and frankly least loved parable -- that of the shrewd manager. Doesn't roll off the tongue quite the same way, does it? There is an important continuity between these parables. Notice the audience. At the beginning of Luke 15, Luke tells us that the context for the three parables of the lost sheep, the lost coin, and the lost sons is Jesus welcoming sinners and the Pharisees disapproving. At the beginning of Luke 16, Jesus turns to the disciples (though it's clear later that the Pharisees are still listening in) and begins to explain what it really means to be his follower. So we ignore this parable in chapter 16 at our peril. In the parable of the lost sons and the parable of the shrewd manager, Jesus is dealing with questions of stewardship and our relationship to worldly wealth. The priority, laid out in the parable of the lost sons, is that we should know the Father's heart. In Luke 15, Jesus clearly told us that the Father is joyful, eager for relationship, determined to love sinners, running to the repentant. That is the Father's heart. In that context, we see a couple responses to wealth management. The first is the younger son. He foolishly squanders his wealth for pleasure. No one would defend his spending habits in the parable. Yet how many of us, in more subtle ways, spend our resources for our own satisfaction? Whether it's buying a third home for our own enjoyment, a jet-ski because we want to play, or a Snickers bar in the grocery check out just because we feel like self-indulgence, how many of us set as our highest priority that we want to buy things to make ourselves feel good? That's the way of the younger son. The way of the older son seems much better, at least at first glance. He has denied himself and kept his nose to the grindstone. Trouble is, his whole life is a resentful lie. He labors under the mistaken belief that he doesn't matter to the Father and he is in fact little better than a slave. His life is a grim, joyless existence and he lusts after -- and denies himself -- the wealth that to him is evidence of his Father's injustice. He has completely missed his Father's heart. The shrewd manager in Luke 16 provides a third option that looks absolutely heinous at first glance. Jesus describes a despicable man without a shred of honesty who wheels and deals his way into self-protection. He cheats his master in order to provide for himself. And Jesus clearly says that his ways are the ways of the world, not the ways of the Father. Being a wheeler-dealer is not the solution. The Father's heart makes all the difference. It is his longing to welcome us into his home, no matter how foolish we have been -- or how arrogant about our own work ethic. In either case, Jesus says, the Father's heart is to welcome you into his eternal dwelling, the party of the angels for repentant sinners. So, use your wealth -- rather than squandering it or serving it -- to serve the Father! Then at the end of the day the two of you -- along with the angels and so many other imperfect but repentant sinners -- can sit down, enjoy a glass of Cabernet, and talk about the day's projects. This story -- the third in the series Jesus tells to make the same point in greater depth -- has rightfully been the subject of countless sermons, devotions, books, conversations. As just one example out of the multitude, I recommend Henri Nouwen's Return of the Prodigal as an excellent way into the story. The book is a slightly cleaned up version of a deeply difficult season in Nouwen's life when he felt himself alienated, cut off, much like the younger son in the story once the famine struck. It's a meditation on what it means to return to the Father and find yourself loved and welcomed. Nouwen later published his own more personal reflections on that season in the book The Inner Voice of Love. Both books are well worth your time, especially if you find yourself in a season of brokenness, repentance, or perhaps frustrated hope, needing to connect to the heart of a heavenly Father who seems absent but who, in reality, absolutely loves you. That is the core of Jesus' story. As we said about the earlier stories of the lost sheep and the lost coin, the stories focus on the heart of the Father for those who are lost. This third story of the lost sons are told with subtlety and craft, showing Jesus at the pinnacle of his ability to communicate his Father's love in his words. Every detail of this story is worthy of reflection, and the deeper you dig the more you discover. Evangelical Christians have traditionally focused on the younger son because he fits the theological framework of evangelicalism so well. He has strayed, his sin catches up with him, he repents and returns to the Father and is welcomed into the household. 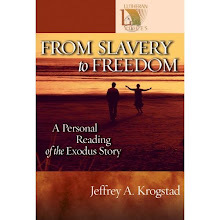 It's a great story and countless conversion testimonies over the years echo its themes. But that is only part of Jesus' teaching here, because the literary structure of the story focuses on the older brother. If we ask what Jesus' point was in telling this story, we cannot escape the conclusion that he was focused in the telling on the question of the older brother. The story ends very specifically without resolving the question: What will the older brother choose? In context, you can see why Jesus would tell it this way. The tax collectors and sinners have already welcomed him and recognize him for who he is: The incarnation of God's love for them, the Messiah who leads them to the Father, the King of a new kingdom ruled by God himself. They get it, both in the sense of perception and in the sense of receiving the benefits of Jesus' kingship. No, the question is what the religious leaders, the captains of moralism, will do. The end of the story leaves them standing outside the party, fuming about the unfairness of God in welcoming sinners and not rewarding good people. The father's final words in the story get at the heart of God, as we saw in the first two stories in this chapter: "It is right for us to celebrate," the father says to his older son. But why is the older son angry? If you've ever been the older son, it's not hard to see. He has done everything right, sacrificing self-indulgence and walking the narrow line of good behavior. He has turned away from his own pleasures for the greater good time and again. He has kept his nose to the grindstone, and frankly he has little patience for those who are not as dedicated and self-disciplined and focused as he is. Thing is, he is sentencing himself to live as a servant, not as a son. Read the story carefully and you'll see that the older son had received his inheritance as well, but he has failed to take up the authority and joy of his father. The father divided his inheritance between the two sons, yet the older son accusingly says, "You never even gave me a goat so that I might celebrate with my friends." The father's response, in essence, is "Son, the goats are all yours! Throw a party and celebrate!" It might just be that the older son's problem is not with his younger brother ("this son of yours") but with parties themselves. He doesn't know joy. He can't receive celebration into his heart. What a tragedy, and yet how many Christians live there? Has God found a way to let his joy trespass into your life? As we grow to adulthood, there is a necessary time of learning responsibility, and this learning militates against joy in some ways. So God eventually needs to break us down in order to impart joy into our lives. Without joy, without that hearty-partying exuberance of God's celebratory love, the gospel becomes a grim game of "thou shalt" and "thou shalt not." Like the older son, sometimes we are called not to take ourselves so seriously, to drop dead to our rigid images of ourselves and to come on into the party. We're splitting this chapter up unfairly, as the three stories go together as a unit. Like any good joke about a lawyer, a doctor, and a minister, the punch line always develops off the third facet of the story. Jesus makes his main point in the story of the two sons after setting things up in the first two. So what does Jesus set up in these ten verses, in stories of a lost sheep and a lost coin? The stories focus, of course, on the searching and the searcher and especially on the heart of the searcher. We may often miss Jesus' groundwork here: The shepherd lays the sheep on his shoulders "rejoicing." He calls his friends together and enjoins them to "Rejoice with me." And Jesus emphasizes that there is "joy in heaven." Similarly, the woman who finds her coin after a diligent search calls her friends and neighbors together and says, "Rejoice with me." And Jesus repeats that there is "joy in heaven" over a sinner who repents. Can we miss the fact that God is joyful, and that his friends rejoice with him? Remember the context. Jesus is telling these stories while he's consorting with sinners, and the religious leadership is looking down their noses at the proceedings. Even before Jesus gets to his main point in the third example, it's clear that he's saying these religious leaders are not true friends of a rejoicing God. Their condemnation of these sinners means that they have mistaken the heart of God, or that they simply don't care about it. Their own standards of piety and performance exclude these sinful people -- and that's what matters. There is no joy in their carefully structured moralism. Do you know the joyful heart of God? We so often bring baggage of our own -- performance anxiety, perfectionism, wounds from overbearing parents, discouragement from unrealistic standards we apply to ourselves -- and we project these things on to God, so we feel unacceptable. But this is not the heart of God. God is not looking at you and wishing you'd get your act together. If you are coming to him eager for fellowship, he is joyful. He rejoices. This is a God who throws a party when you come close to him! We have to check ourselves, especially those of us who have been following Jesus for a long time. We have to check ourselves to make sure we are not aligning ourselves with the judgmental religious leaders, looking out at the world with an evaluative, condemning eye. One of the silliest and most pervasive mistakes Christians make is that we take good secondary things and make them our first priorities. In doing this, we take our platforms and priorities to the extreme and find ourselves opposing Jesus and his agenda. Nowhere is this more true than in the whole area of "family values" and all that has gone with it for the last generation or so. Truth is, because we have decided that family values is part and parcel of Christianity, we don't know how to read this passage and others like it where Jesus seems to say negative things about family relationships and other "good" things. Family relationships are critically important, make no mistake. Marriage, parenting, honoring one's parents and grandparents in word and action -- all of this is tremendously important. But it is not the core of Jesus' message, nor is it the gospel. As with any secondary priority, when these things are placed in first place, they become destructive idols that actually draw us away from Jesus. Jesus' uncompromising agenda is that through him, people should know God. In order for that to be true, we need to recognize his superiority, his sovereignty -- and that includes his sovereignty over parents, children, spouses, etc. If you find yourself starting to object and say "Jesus would never demand anything that would draw me away from family," be cautious. You are well on your way to idolatry. I'm not saying you should leave your family. Not at all. But if you hesitate on reading Jesus' words in this section of Luke 14, take that to him and talk it out. Would your parents, spouse, children, coworkers, boss -- would they say Jesus is your first priority, over and above your dedication to them? Can you say unequivocally that he is Lord and they are not? Jesus knows that following him is costly. He gives several disturbing examples near the end of this chapter to show that not all of us will choose the economics of his lordship. Count the cost, he says. If you can't make the commitment, recognize that. Own it. Be realistic about it. When marriages or parenting relationships are fully in line with Jesus' lordship, they are a tremendous blessing. In God's plan, for example, marriages should be joy-filled partnerships that glorify him, build signposts of his kingdom, and model for the world what the love of God looks like in all its exuberant joy, tender forgiveness, and passionate partnership. Even our marital conflicts ought to point back to the love of God, in his plan. There's lots more we could say about this. But when we assume that a marriage is a Good Thing and therefore we should sacrifice everything for it, even our connection with God and our sense of his leading, we have created a golden calf for our own worship. We do the same thing (so much) with children and with parents. Read the gospels, and you'll see that Jesus confronted people about each of these relationships -- he demands to be Lord, in every way, over every relationship. Dietrich Bonhoeffer, near the beginning of his final book Ethics, said that God's intention in the Garden of Eden was that we would know only him, and receive all other things through him. The problem of sin was that we chose to know good and evil apart from knowing God. One of the implications of this idea, that we know only God and all other things and relationships through God, is that Jesus becomes the intermediary between parents and children, between husband and wife -- that we don't have immediate relationships with anyone or anything, but we receive each relationship and each experience through Jesus. This is what the hyperbolic language of "hating" father and mother, spouse and children, means in Luke 14. Jesus is not calling us to despise those people, but he will not be compromised in his lordship. These verses seem to be three distinct units -- Jesus heals a man on the Sabbath, he tells a parable in response to those who seat themselves in honor at a feast, and he goes on to tell another parable about a banquet. All three of these, however, are united by one basic idea -- there is a stark contrast between living under God's rule and recognizing him as sovereign, on the one hand, and living according to our own power games and desires for advancement on the other. Jesus calls out the authorities who justify preserving their own property on the Sabbath but say it's wrong to heal a man afflicted with dropsy, an abnormal buildup of fluids in the body, what more commonly today would be called "edema." Jesus graciously heals the man and ironically confronts his critics with the idea that this man is at least as valuable as an ox. Point for Jesus. Then he calls out the social grasping of his audience, those who (like we have all done at one time or another) seek to advance themselves in social situations -- wanting to be that special friend, guest, etc., and positioning ourselves to be "honored" in this way. It really comes back to measuring ourselves according to what others think of us. Jesus says in effect (as he will demonstrate vividly to his disciples in a few short days, see the beginning of John 13) that if you know who you are in God's love, you don't have to worry about your social standing. If you are the beloved son or daughter of God, what does it matter whether you sit at the head table or back in the kitchen? It doesn't. Yet so often we posture and worry about where we stand with people, buying into the shame-based systems that kept the dropsy-afflicted man from being healed on the Sabbath. What Jesus is doing here is redefining the power and application of God's love, and he goes on to state this theme even more radically in the third part of this section. His host has gained some basic idea of Jesus' "kingdom of God" and remarks how glorious it will be. Jesus contradicts him, saying instead: The kingdom of God is already in evidence around you -- here I am, the promised king -- and yet time after time people are rejecting me, rejecting my rule. Time after time people choose to live according to the systems and values of their shame-based human rules rather than knowing who they are as beloved sons and daughters of God. Like the seeds choked out in the soil that was crowded with thorns, they fill their lives with priorities, relationships, and concerns that are all about them and their own advancement rather than about Jesus' authority and kingship. So, Jesus says, the king -- in this case himself -- will turn away from those who reject him and pour out his favor, his love, his grace, his welcome on those who seem completely undeserving. In effect, Jesus is looking ahead to the scandalous invitation into God's love that will be expressed through the lives of his followers from his resurrection until the present. And yet so often, those who should know Jesus' love and authority best create systems and hierarchies that protect ourselves and build walls to keep out those we don't like. Over and over again we see Jesus turning away from those who build their own kingdoms and turning to those who are pleased to know themselves as beloved sons and daughters of a gracious God -- not because they've met some standard, but because of who God is. I'm spearheading a new Alpha course that meets in New London each Sunday evening, and that's great fun. There's nothing like forming a leadership team and building relationships that then drive the mission of helping people know Jesus. I just love it. Caretaker work at Decision Hills continues to occupy a lot of my time -- fixing broken doors and trying to get all the fall projects done before the snow flies, and getting furnaces up and running, chainsaw maintenance and all that. Back in August I made a quick run up to northern Minnesota (the shack, for regular readers) and picked 33 pounds of chokecherries. Along with a couple friends, we're turning it into ten gallons of chokecherry wine that seems to be coming along famously. Bottled it the other night, and now just have to be patient until it gets a little more mature. If that's not a metaphor for life I don't know what is. It's bowhunting season in Minnesota, and I've been out a few times. So far I've had shooting opportunities involving Buttercup, the doe who likes to graze in my yard while I'm working on the barbecue grill. She looked up at me all terrified (who says deer never look up?) but then -- I swear -- there was an expression on her face like "Oh, it's you!" And she calmly went about browsing for twenty minutes in my shooting lane, glancing up occasionally to make sure I was still there. Ten yards away. The other shooting opportunity I've had is when Momma and this year's twins -- again, one bold little buck with antler nubs already, and his much more deliberate sister -- came past me in another stand the other night. So the two adult deer I've decided are off limits are the ones that are coming past me. My daughter pointed out that compassion in these situations is directly proportional to the fullness of the freezer. I'm not preaching as much this fall, with Alpha starting and such, but I am on the docket for this coming Sunday. Preaching on Matthew 6:19-34, which has always been a favorite passage of mine. Probably focus on verse 33, mostly. Looking forward to that. I'm continuing to write other projects just for fun. Plugging away at a novel that started out as a handwritten short story and has just kept growing. It's pushing 40K words now and the story just keeps developing. Great fun. And of course there's lots of other stuff going on. Good conversations and growing friendships and times of sitting with God on the dock looking out at George Lake and cutting firewood and building fires and wondering why I didn't get more home improvement projects finished this summer. Lots to do, and being busy isn't a bad thing. Fall in Minnesota is a fantastic time. For what it's worth, I am planning to keep working through Luke. I'm fairly confident you who read this blog are a patient bunch. Thank you for that. Human beings are by nature deeply self-centered. I think this is very close to what the Bible means by saying we are born sinful -- not that we are born as axe murderers, but that we are born selfish. People say, "How can you look at a beautiful, innocent baby and say we're born sinful?" But a baby is the most selfish creature in the world -- it has no sense of where it stops and others start, and everyone and everything exists simply to meet the baby's wants and needs. That's selfish. We read the Bible selfishly. We read a passage and the first question we usually ask -- even responsible, Christ centered followers of Jesus -- is, "How does this apply to me?" That's a self-focused way of reading the Bible, and it gets us into trouble. So in this particular passage, we more often than not read these verses and we think Jesus is talking about the end of the world, or at the very least about how I can get to heaven. "What does it mean for me to enter through the narrow door?" Well, that means that I have to be a genuine follower of Jesus to get to heaven, and not just go along with the world's wide ways. Right? Why don't we read instead with the goal of understanding what Jesus originally meant? What situations was he speaking to, and who heard him? How did his disciples originally understand his words, and why did Luke, in this case, choose to record them? Why were these words important to Luke? This kind of reading is harder, because we have to get outside our own point of view and become students of the history and context of the Bible. How does this contextual study help us understand a passage like this one? To start with, it's no accident that verses 31-35 are included on the heels of verses 21-30, though we usually separate them. Jesus is approaching Jerusalem, and he has a deep sense of the impending danger facing this beloved city. Jesus ascribes this danger to the Jews' rejection of God's prophets throughout history, and now specifically to their rejection of him as Messiah. So many of Jesus' parables and teachings focus on exactly this topic. (See for one example Matthew 21:33-41.) Jesus sees the overwhelming tide in his own culture, a kind of Jewish nationalism that idealized the Maccabean revolt a century and a half before, reread the prophet Daniel breathlessly because they believed it foretold a Messiah arriving any day (just a little irony there) and hated the Romans and Herod and the Jewish high priests who collaborated with these powers. In context, Jesus seems to be saying, If you allow yourself to continue thinking like this, you will be destroyed. That spirit of rebellious nationalism is the wide road that everyone around you assumes is correct. I have come to show you a different way. In fact, that tide of nationalism did erupt in a rebellion against Rome in 66 AD, and Rome responded with an iron fist. After a siege lasting years, Jerusalem was destroyed. Jesus' followers, however, saw what was coming and withdrew to the town of Pella in Syria, largely because they remembered Jesus' teachings calling them away from that kind of nationalistic fervor and armed conflict. So is it possible that Jesus' immediate context in speaking these words, and Luke's in recording them, is looking ahead a couple decades to the sack of Jerusalem and the destruction of the temple? Scholars debate at length whether Luke's gospel was written before or after 70 AD when the temple was destroyed, and that really doesn't matter a lot. Anyone with eyes to see in the decades leading up to the Jewish War of 66-70 AD could tell what was going to happen. And is Jesus also, in this context, warning the Jews that the movement he starts will move beyond a strictly Jewish one and become open to people of all different tribes and nations? That seems to be the thrust of verses 28-30. This idea -- that the Jews would be disgraced (as they had been in 586 BC when Nebuchadnezzar sacked Jerusalem) and that other nations would be welcomed into the kingdom of God in their place -- would have been horrifying to the Jews of Jesus' day, and would indeed have been grounds for weeping and gnashing of teeth. We don't need to leap to medieval visions of Dante's Inferno to interpret Jesus' words. What then, to do with the secondary question of how to apply these words to ourselves? If you can't see that an unbridled nationalism is dangerous, you haven't been paying attention to the news. And if you don't realize that Jesus offers a different, narrower door than the triumphalism of "we're claiming this nation back for God" that so much Christianity trumpets, you need to reread the Bible, starting with the gospels. It is hard work to read the Bible this way, but it is a more honest way of coming at the text. All it really is, is good listening: Understand the speaker and what they mean, get the message clear in that context, and only then interpret it for your own situation. Good communicators do this every day. We need to learn to do this as we read Jesus' words as well. This blog post from Scott Sauls is well-written and perfectly timed for today's internet and political culture. Pay special attention to the caveat at the beginning. Again in this text we see Jesus reaching out in his authority to demonstrate God's love to a surprising person -- a person who would have been considered a throwaway by her society. This woman has been bound for eighteen years, and no doubt her disability had reduced her tangible value to the people around her. Oh, her? She can't do much. She's so bent over and crippled up. Poor woman. Their pity masks the fact that they have thoroughly devalued her. Jesus sees her not as a poor crippled woman deserving of pity, but as a daughter of Abraham afflicted unjustly by Satan these past eighteen years. Because it seems so far outside their abilities to heal her, they have written her off. Jesus, on the other hand, frees her and restores her place and her dignity. I preached once on this text in a tiny Presbyterian church in Jordan, Montana, among people who knew horses. I borrowed an old set of hobbles from a rancher and used them to illustrate what Jesus is talking about in this text. What do hobbles do? They bind a horse, limit its movement, impede its freedom. God created horses for speed and grace and strength, and hobbles limit all of that. What are your hobbles? What are the factors that keep you from being all God created you to be? This is a hard question, and often uncomfortable to explore. Maybe they are obvious, like this woman's physical disability. Maybe they are more subtle, more hidden like a secret addiction or a struggle with depression. Maybe your hobbles masquerade as a good thing -- a servant heart, an overabundance of empathy or kindness. I've been wrestling lately with something a counselor told me a year and a half ago. He said, "You're so focused on being nice. You get a lot of your identity from being a nice person. Don't get me wrong, kindness to others and compassion for others' failings are good qualities. But you're so nice that you're not really nice. You don't set up any boundaries and people just run right over you." Au contraire, I thought, you should see the boundaries I have set up ... and quickly I ran through a bunch of examples in my head. But as we talked further, I realized there were a couple relationships close to my heart where I had allowed others to set my agenda, my limits. Jeff, you can never shut down a conversation. You can never hang up the phone no matter how angry I'm making you. You can never refuse to talk about hard things, or even postpone those conversations. You can never point out my faults. I was hobbled. Because I was raised to be a nice Minnesota boy who was kind and caring and avoided conflict, I allowed my boundaries to be stolen. I had promised myself that I would never walk away from hard things, and somehow that got twisted in my heart to mean I could never say, "Enough," no matter how badly I wanted to, no matter how right it would have been to do so. I've been processing those hobbles lately. I have a lot of time to ponder relationships and boundaries and what kindness actually looks like in practice. I'm letting Jesus bring those things to light. It's a subtle, time-consuming process. Jesus says that God's rule in our lives is like that sometimes -- like a tiny mustard seed that seems like nothing. Like a throwaway, until it sprouts and grows. Like yeast, that seems like useless powder until you see what it does to a lump of bread dough. The subtle, seemingly negligible rule of God sets all other powers on their heels. It destroys the hobbles that bind us -- not always in a flash of freedom, but often in a long, challenging season of reflection, growth and change. It allows us, like a running horse, to bring our strength and grace into God's service.